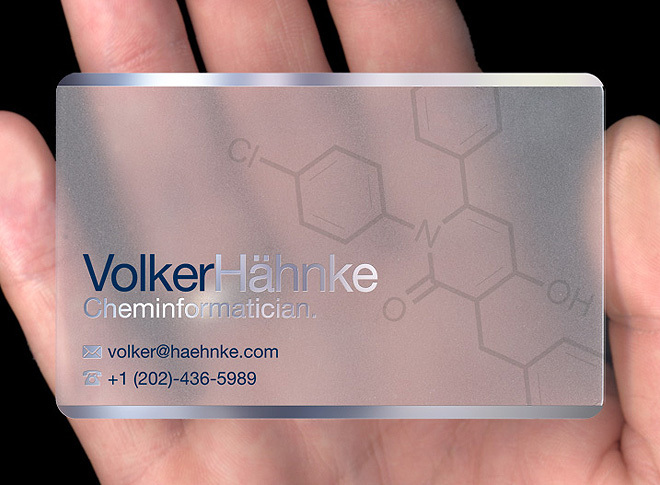 The Volker Hahnke translucent plastic card uses both pigment blue and metallic silver ink. With it’s almost chrome like appearance, the silver is guaranteed to grab the attention of potential customers and contacts. The molecular diagram is printed using clear gloss ink on the cards reverse to create a subtle watermark effect.